Come reveal the hidden jewels of Peru on this custom tailored tour that will uncover the marvels often overlooked by many. Our special package Luxury Christmas Peru Tour include, Lima, Cusco and Machu Picchu, the new seven wonders of the world. 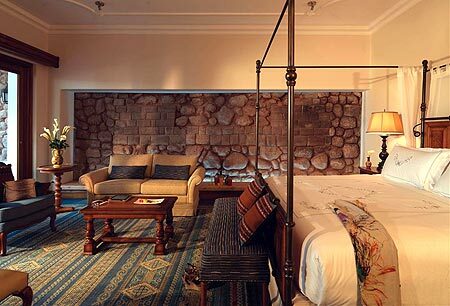 When you arrive into Lima,we will transfer you to Miraflores Belmond Luxury Hotel. In the morning proceed on a half-day guided sightseeing tour of Colonial and Modern Lima passing by outstanding monuments such as the Government Palace, the City Hall and the Cathedral and the 17th century San Francisco Convent. In the morning our staff will transfer you to the airport where you will take Lan Peru’s 320 Airbus on your one-hour flight to the Capital of the Incas. Upon your Arrival in Cusco, the ancient capital of the Incas, we greet you at the airport and transfer you to the Luxury 5* PALACIO NAZARENAS Hotel. You will be welcomed with a comforting cup of hot coca tea and escorted to your deluxe room. Overnight in a deluxe room with oxygen enrichment system to help you acclimatize to the high altitude in Cusco (11,000 feet – 3,352.80 meters). Luxury Christmas Peru tour include a la carte lunch, later on we visit the SANTURANTIKUY FEST. Christmas Eve is the time for Santuranticuy, a traditional market held in Cusco’s Plaza de Armas. Artisans from across the region gather in Cusco’s main square, where they sell handcrafted images of the nativity and related religious representations. Early in the morning after breakfast we pick you up at your hotel and take you to the railway station for Luxury Hiram Bingham Train to Machu Pichu. The train journey passes through picturesque Andean scenery, traditional villages, Inca ruins and rushing rivers. Descend 1300 meters to the Sacred Valley of the Incas and follow the Urubamba River until the final stop at Aguas Calientes at the foot of the mountains. Board a small bus and head up to the ruins of the “Sacred City”, Machu Picchu. The famous lost city of the Incas is one of the most magical and mysterious places on Earth! Stand 2,430 meters above sea level in the middle of a tropical mountain forest. In an extraordinarily beautiful setting, it was probably the most amazing urban creation of the Inca Empire at its height. Its giant walls, terraces and ramps seem as if they have been cut naturally in the continuous rock escarpments. The natural setting on the eastern slopes of the Andes encompasses the upper Amazon basin with its rich diversity of flora and fauna and is frequently shrouded in misty clouds pierced by the powerful equatorial sun. Opportunity to enjoy a wonderful sunrise over Machu Picchu and some personal time for private reflection. Most travelers appreciate this second chance to see the ruins in a different light. One option is a steep one-and-a-half-hour climb, mostly on stone steps, to the summit of Huayna Picchu, the sharp peak seen behind the ruins of Machu Picchu in many photographs. Ambitious hikers may want to walk up the final section of the famous stone-paved Inca Trail to the “Gate of the Sun,” a small Inca ruin set in a mountain pass above the city. If you go all the way to the pass, this trip will take between 2-3 hours roundtrip. Lunch and return to Cuzco. This afternoon, be fascinated on a guided sightseeing tour of the city constructed on the foundations of Inca palaces. We will start at “Koricancha” or the Temple of the Sun, then pass on to the “Plaza de Armas” where we will enter the Cathedral with its fine wooden sculptures, altars and paintings. Full day tour to the Sacred Valley of the Incas, passing the impressive landscape of the Sacred Valley of the Urubamba River, arrive at the colourful market of Pisaq where you can still see citizens and farmers from nearby villages interchanging their goods like they have been doing for centuries. We’ll also see a lot of handcrafted products for sale. We head to Ollantaytambo to see the impressive fortress where the Temple of the Sun, formed of 6 gigantic monoliths, whose total weight exceeds 50 tons and the Terrace of the Ten Niches stand out. Ollantaytambo was the site of the only successful Incan battle against the Spanish. Ollantaytambo was originally built as a fortified city to protect the great Inca capital from attacks of the “Antis”, a savage jungle tribe who were never subdued by the Incas. Return to Cusco. Breakfast (√) Lunch (√) Dinner (√). Our early morning flight brings us back to Lima, where we check into our hotel and have the remainder of the day at leisure. End of Luxury Christmas Peru tour. 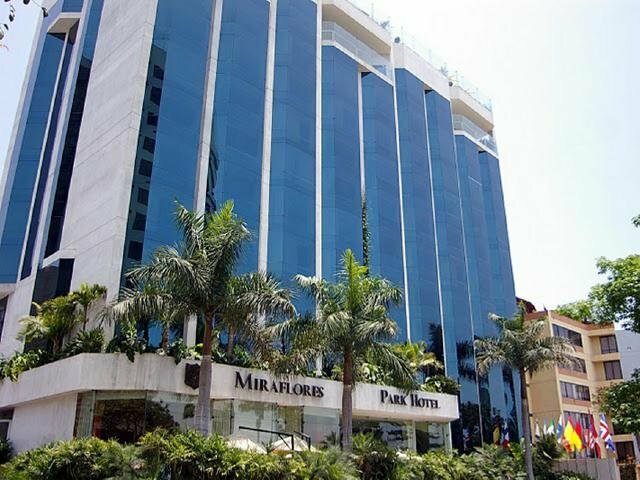 Miraflores Park Hotel: Ideally located for business travelers and leisure visitors alike, the Miraflores Park Hotel is within walking distance from Lima’s financial district and the Larcomar Entertainment Center, boasting some of the city’s best shopping. The sleek, modern guestrooms feature all the comforts of home, but it is the rooftop that reveals the hotel’s true glamour, with a pool, spa and views of the Pacific Ocean. The poolside restaurant, the Observatory, serves an innovative menu prepared by Chef Federico Ziegler, while the lively lobby bar, Dr. Jekyll and Mr. Hyde, inspired by the Robert Louis Stevenson novel, feels traditionally British with a dark wood staircase, large paintings and leather-back sofas. Mesa18 is the newest restaurant. 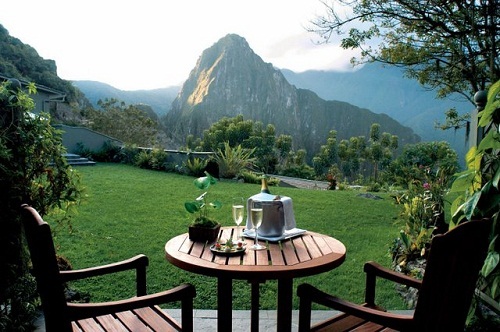 Machu Picchu Sanctuary Lodge: Is the only hotel in the Inca Citadel ruins, at 8,100 feet above sea level. Its location gives you easy access to the ruins as well as breathtaking scenery. In nearby Aguas Calientes hot springs you can enjoy a soothing bath at the end of a long day of exploring. Enjoy lunch in the cafeteria overlooking the citadel of Machu Picchu, where you can choose from a wide variety of dishes and enjoy a spectacular view. There is also an indoor dining room where a delicious breakfast buffet and international cuisine are available. Accommodation in double rooms at selected hotels with private bathroom. Train tickets: Cusco – Aguas Calientes (Machu Picchu) in Hiram Bingham. There are many travel Agencies in Peru, offering different packages in a considerable range in quality, reliability, and price. As one of the pioneers of commercial adventure travel in Peru, we are very proud of our record of environmental and social leadership. We set the standard of quality among full-service outfitters. Sun God Peru® has been awarded Best Adventure Travel Agency by the Peruvian Ministry of Tourism every year since 1980. The award recognizes the high standards that our guides, staffs, and other employees consistently attain. When purchasing your Peru tours services from overseas agents, be certain you are buying the services operated by Sun God Peru®. Accept no substitutes! . Etiquetado Cusco, latin america, luxury Chrismas Peru Tour, luxury christmas, luxury tours, Machu Picchu, peru luxury tours, south america.